Season 03, Episode 14 -"Love Yurts"
Season 01, Episode 08 -"Melodys Last Stand"
Before Martell heads into surgery, Melody drops the bomb that things will be changing once he is fully recovered. Meanwhile, The Comeback Group is on the brink of collapse, and Tisha's quest to become a working mom may finally upend her marriage. Season 02, Episode 11 -"Rockstarrs and Reflections"
Khaotic's PTSD takes center stage; Trina presents her Rockstarr Music artists to the world; Shay faces surgery. The OGs are back on one stage with host Nina Parker; the cast gets real on clout chasing, relationships, and mentorship gone wrong; the night is buttoned up with the arrival of a surprise guest. 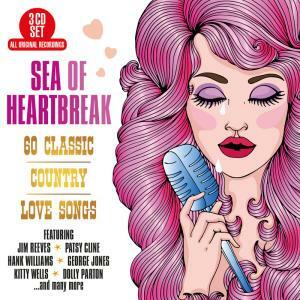 60 of the finest songs about love, craving, disappoinment and happiness written by arguably the best songwriters in the field and performed by some of the foremost artists of the genre. All of the classics from the 50s and early 60s are included here. 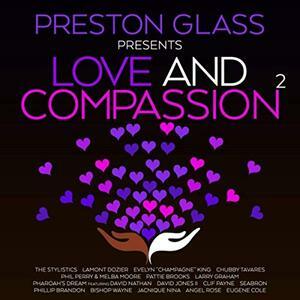 Preston Glass Presents Love & Compassion Vol.2 contains the definitive Artists & Soul, R&B. The Best hits from David Jones II, Lamont Dozier, Bishop Wayne and many more. Season 02, Episode 09 -"Performance Anxiety"
Prince performs for the first time; Trick crushes on Amara; Khaotic has a face to face with his estranged father. Season 09, Episode 14 -"Locked Down"
The Costa Rica trip ends with a bang when Joe confronts Safaree; Kimbella and Yandy finally find resolution; back in New York, Juelz faces his sentencing and he and Kim scramble to get married; Joe proposes to Cyn. Season 1, Episode 5 -"Unique Love Trio; Unconventional Career Woman"
Jealousy strikes a unique love trio; a man wants his wife to quit her unconventional job and raise a family; a woman seeks affection while away from her husband; a little couple risks everything for a world record.